The senior experience culminates in a formal show of studio majors’ work and a presentation of research by art history majors. The exhibition is on display at the Maier Museum of Art at Randolph College and the opening night presentation is a major Collegewide event. 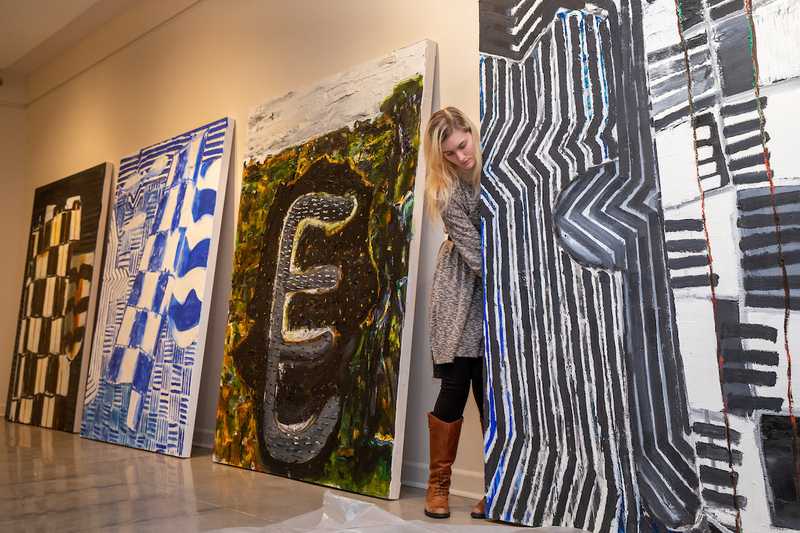 The Department maintains an active program of visiting artists and art historians who lecture on their work and offer workshops, critiques, or seminars for students. Polly Apfelbaum, Jake Berthot, Barbara Haskell, Bill Jensen, Elizabeth Murray, Maya Lin, Judy Pfaff, Jules Prown, Elena Sisto and Larry Silver are among past participants. Randolph College’s nationally recognized Maier Museum of Art features works by outstanding American artists of the 19th, 20th and 21st centuries. The College has been collecting American art since 1920 and now holds a collection of several thousand paintings, prints, drawings, and photographs in the Maier’s permanent collection. The Museum hosts an active schedule of special exhibitions and education programs throughout the year. Through its programs, internships, museum studies practicums, and class visits, the Maier Museum of Art provides valuable learning opportunities for Randolph students and our community at large. Randolph faculty members lead 2-week study seminars across a range of academic disciplines and in countries around the globe either during winter break, spring break, or the summer. After completion of one semester of study, all students are encouraged to participate in these unique programs, which may have prerequisite courses and include pre-departure sessions and post-trip activities. Recent ISS sessions sent to students to Morocco and Spain, France, and Italy. Most of our students take advantage of internships to gain real work experience and to focus their career goals. Randolph College is the only college or university in the United States that has an internship at the National Gallery of Art, London. Two students spend eight weeks of the summer learning museum work at one of the world’s greatest painting collections. The Lynne Coppage Land Scholarship Award provides tuition, room, and field-trip expenses for one student each year to work in architectural restoration during the summer at the Preservation Institute in Nantucket, Massachusetts. Other recent placements include internships at the Museum of Fine Arts in Houston, the Virginia Museum of Fine Arts in Richmond, Coach Designers, the Museum of Modern Art in New York, Thomas Jefferson’s Poplar Forest, the Design Group, Lynchburg Fine Arts Center, and the Lynchburg Museum System. FRAME (Future Restorationists, Artists, and Museum Enthusiasts) is a student volunteer organization that focuses on the College’s excellent collection of American art. FRAME docents lead tours for visitors to the Maier Museum of Art at Randolph College, help museum staff manage the collection, lead educational programs for local schoolchildren, and host receptions and special museum events. Through the club, students broaden their knowledge of art and art history, learn the field of museum education, and develop communication and public speaking skills. The Princeton Review ranked Randolph's faculty #18 on their list of the most accessible professors in the nation.